Computer Repair Nassau Queens NY | Computer Repair - Satisfaction Guaranteed! Computer Repair – Satisfaction Guaranteed! PRICES THAT CAN'T BE BEAT! Our Computer Repair technicians have been proudly serving all of Queens and Nassau County NY for over 15 years. We repair and service all Desktop and Laptop Computers . Our skilled technicians come right to your home or business to solve all your computer problems. Drop off service is also available! Our only mission is 100% customer satisfaction! 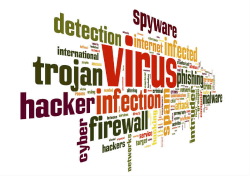 Our certified Professionals are highly skilled in all facets of virus protection and Data recovery. The Computer Repair Doctor specializes in removing those stubborn viruses that infect your computer's performance. Our trained Professionals are ready to fix all your PC and MAC problems today. We are experts in PC tune-ups to Computer and MAC setups, we have the knowledge and skill to make your computer repair experience an enjoyable one. Yes – some may call our technicians and certified specialists “computer geeks”, but we are honored to wear that label! Our reputation speaks for itself. We are proud to be the most dependable computer repair service around. We strive to always deliver great customer service at affordable prices. Copyright © 2019 Computer Repair Nassau Queens NY. Proudly powered by WordPress	& The WP Theme by ceewp.com.